Live.com is related to Microsoft which has connection with outlook, Hotmail and many other sites. 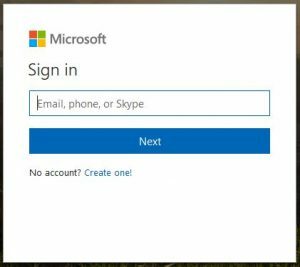 If try to open other type of email address, you will need to sign in this Microsoft page.For security password is the basic and you can change it any time you want and reset if you forgot password.Reset Live.com Password by steps mentioned below. In the page, you will get a blank space where you need to enter your email address with live.com or phone number or Skype ID respectively and then click on the next button or enter from the keyboard. After you sign in, you will see the home page of your account.You will need to go to click on your profile picture where you will get drop down option. From those option, you need to click on the view account and another page will open. Then you will see other things with “Change password” in blue color text. You need to click on that text. And in same page, you will see a verify option. You will see your incomplete recovery email address and you need to click on that. And then a blank space will appear where you need to enter your recovery email address. And then you need to click on the send code button to get code in that recovery email address. You will need to check your recovery email address for the code. You need to take that code to the process and click on the verify button.And after verify, you will be asked to download the you can skip for now by click on the “No, thanks!” button. After that, you will get to enter your new password but first you need to enter your current password.You will get three blanks in total. First for current password and second is for creating a new password and third is for re-entering the new password for verification. You need to choose a strong password which cannot be guessed but you should remember it. And click on the “Save” button to save the changes. After that your password will be changed and you need to sign in with new password for next time login. From the login page, you need to click on the text “Forgot my password” on the password writing tab. The text will be in blue color which means internal link. You can also follow this https://account.live.com/ResetPassword.aspx link to open the reset page. In that page, you need to click on an option that you are facing problem. You can choose the “I forgot my password” and click on the next button below the options. Then, you again need to enter your email address or phone number. After entering that, you also need to enter the given text below. After that you will need to sign in with your new password and you will be logged in. You also need to sign out before leaving the device or lending to others.These are the easiest steps to Reset Live.com Password for your account. This entry was posted in Account Reset Password and tagged change and reset live.com password, change live.com password, How to change and reset live.com password, Live Reset Password, Live.com Reset Password, Recover Live Password on February 19, 2018 by jcgbyHvNvn.